Mint, almost new. Nothing needed, all mechanical and electrical systems are functional. 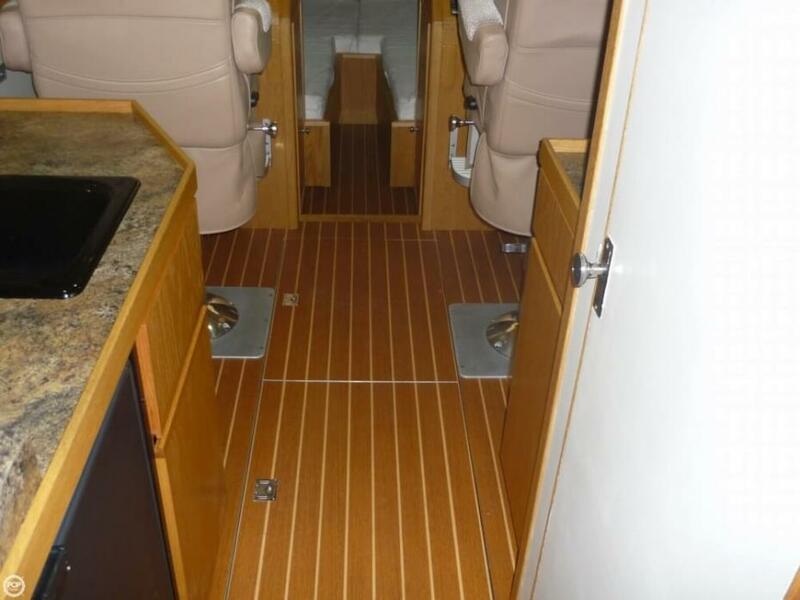 Seats, cabinets, bow, deck, and storage are all in like new condition. Hull is in excellent condition and super smooth! Please contact us for a video of the boat! Stock #134029 Custom Designed by Naval Architect! Aluminum Displacement Hull! Trailerable 8' Beam! 3mpg-9knots,1.8mpg-14knots! 115Hp Merc! Roof A/C! No Thru Hulls! If you are in the market for a trawler, look no further than this 2013 Gasparek Marine Industries 33, just reduced to $214,900 (offers encouraged). 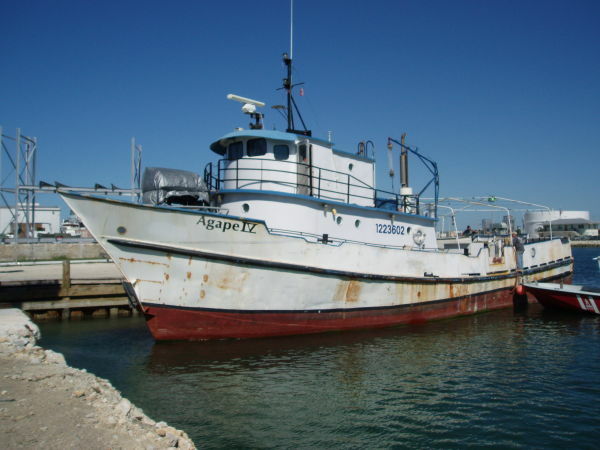 This vessel is located in Valders, Wisconsin and is in great condition. She is also equipped with a Mercury engine that has only 136 hours. Reason for selling is owners retiring their business. 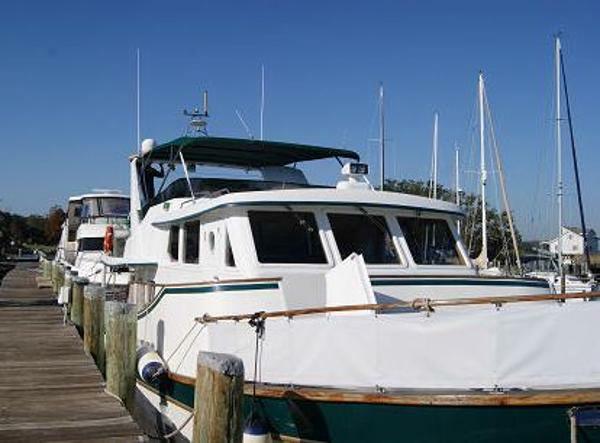 1984 Custom Trawler Biloxi Lugger Owner ready for offers! Rare Chandeleur Boat aka Biloxi Lugger or Custom Trawler! UPDATE: New Zincs, caulk, bottom paint, and hull paint from the rubrail down! Master boat builder, Bill Holland personally inspected and caulked the bottom, and gave her a clean bill of health the first week of May 2015! The most important questions about the bottom condition have been answered and addressed! A gorgeous Biloxi Lugger is not only hard to find, but even harder to find in as excellent shape as "Chandeleurious." 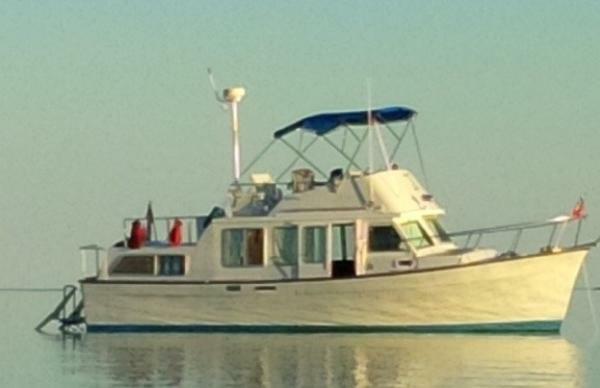 She's got a perfect layout with plenty of room to sleep and fish for (6) guests, wood flooring, Corian countertops, Garmin electronics, kubota diesel generator and Detroit 4-71 main engine both keel cooled and dry exaust for long life and ease of maintenance! (2) Rooftop Air Conditioners will freeze you out! 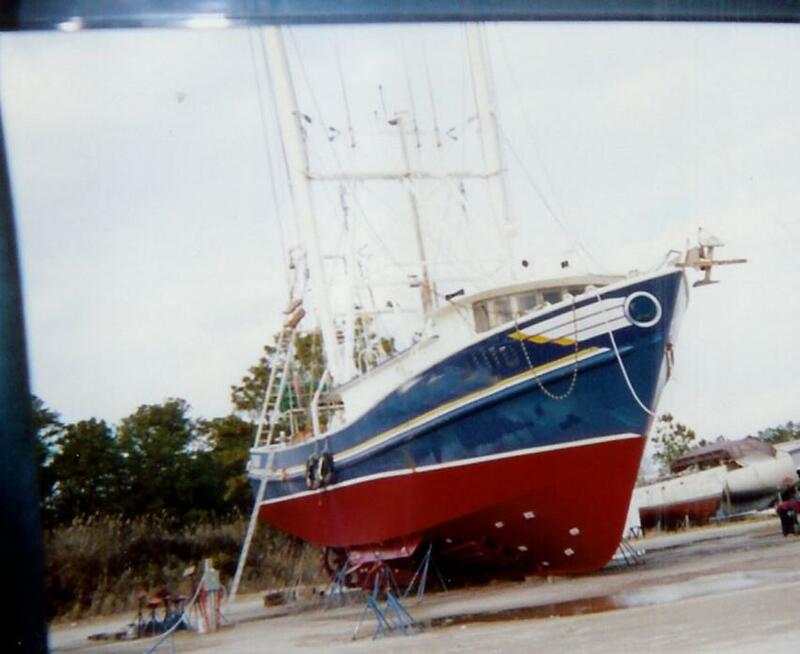 This Biloxi Lugger gets hauled at Bill Holland's yard for bottom work, and her owner is a marine contractor, so all materials are marine grade treated or stainless or they are hand picked by Mr. Holland for replanking. The owner has coppertoxed the interior hull framing and planking which are Cypress and Juniper respectively. Hull and topsides painted a year and a half ago and shine like a new boat! Fuel tanks just cleaned and decks painted! If you have always dreamed of owning a Biloxi Lugger to cruise the coast or fish the Chandeleur islands I invite you to schedule an appointment! Offers encouraged! 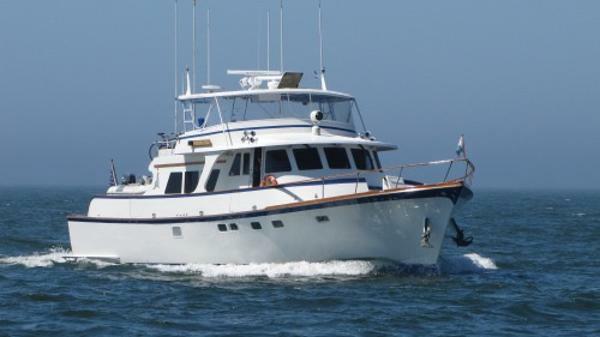 2003 Custom Trawler 52 This trawler, Brazilian Custom Made 2003, is the only in her class and year in the US waters! It was relocated from Brazil to Tampa, Florida and is in excellent shape. Ready to be sold! 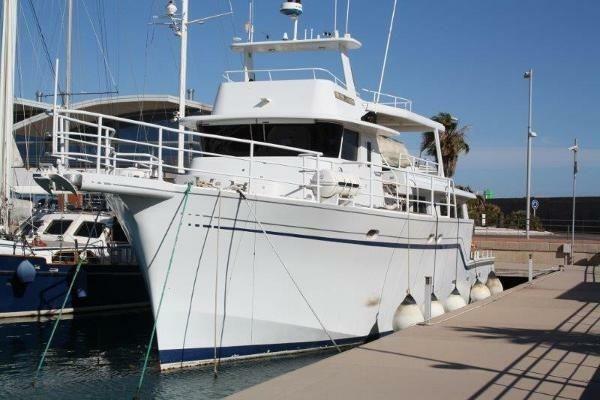 2004 Custom Trawler 50 Jade is a Brazilian built, raised pilothouse, 2 stateroom trawler in very good condition. 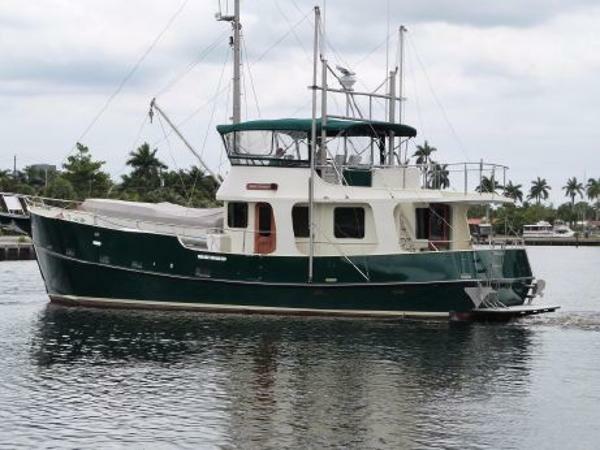 She just completed the Great Loop, but she also cruised on her own bottom from Brazil to the U.S., so she is a very good option for any buyer who is looking for both a blue water capable trawler and a Great Loop candidate. She also offers fuel efficient 110hp main engines and a dual cycle electrical system. Sellers have bought their larger trawler for their growing family, so they have priced Jade attractively to encourage a quick sale. Price reduced! JADE e uma embarcação tipo trawler de longo percurso, construída pelo estaleiro Medaglia no Brasil. As linhas de casco foram baseadas em projeto do arquiteto naval Nestor Volker. A construção e toda em fibra de vidro reforçada e os vidros das janelas de proa são todos laminados com 25 mm de espessura e os laterais 12. O barco navega muito estável e e eficiente tanto em oceano como em aguas abrigadas. Com 2600 horas de experiência ja navegou toda a costa Brasileira, o norte da America do Sul, o Caribe e mais recentemente realizou o Great Loop Americano. Tem dupla motorização MWM de 110 hp, fazendo cruzeiro econômico de 8 nos com media de 2,2 litros por milha navegada. A embarcação esta sendo vendida pois com o aumento da família os proprietários adquiriram uma embarcação maior. JADE es un bote tipo trawler de largo percurso, construida por el astillero Medaglia en Brasil. Tiene sus lineas de casco basadas en proyecto del arquitecto naval Nestor Volker. La construcción es hecha toda en fibra de vidrio reforzada, y tiene todas sus ventanas de proa com vidrios laminados de 25 mm y los laterales de 12. El bote navega muy estable y es eficiente tanto en océano como en aguas abrigadas. Com 2600 horas de experiencia, ya navego toda la costa de Brasil, el norte de America del Sur, El Caribe y mas reciente termino el Great Loop Americano. Tiene doble motorización MWM de 110 hp cada, con velocidad crucero de 8 nudos y promedio de 2,2 litros per mile navegada. La embarcación esta siendo vendida pues la familia aumento y sus proprietarios compraran un bote mas grande. 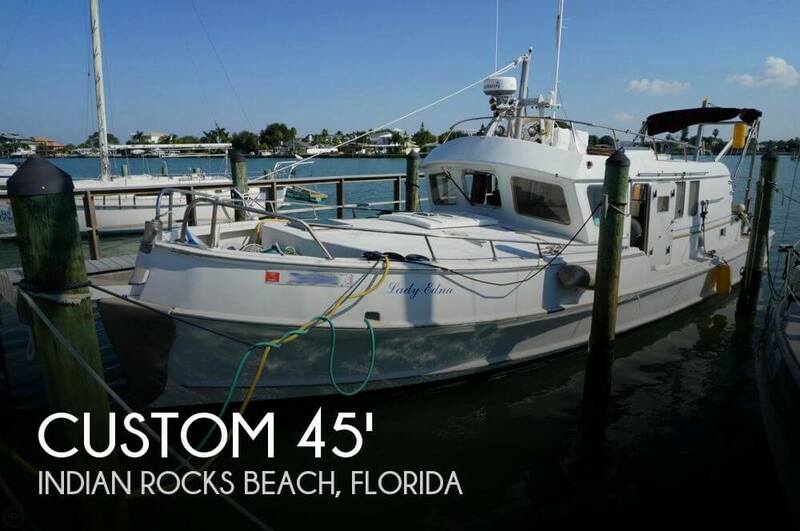 1994 Custom Build Trawler VIRTUAL TOUR: https://yachtprofile.com/ypc52t SEA TRAMP was custom built by an experienced yachtsman over many years in Fort Lauderdale, Florida. The build was based on a Nils Lucander design and SEA TRAMP was purposely built for completing blue water passages safety and in total comfort. This yacht has the agility to maneuver through shallow water and the strength, `range`, and equipment to engage in long range expeditions. Having the fit, finish, and comfortable layout of a fine live aboard yacht and the broad-shouldered brute strength of a go-anywhere at any time commercial boat. 1990 Custom 41 Aluminum Trawler This Custom Aluminum Long Range Trawler was designed by Ted Brewer and built in Ohio by Marine Aluminum Fabricators in 1990. That firm built 15 aluminum vessels, five of which were of this Brewer design. This boat was built of series 5000 alloy which in the marine environment does not require painting above the waterline. This is an ideal vessel for our style of NW cruising for one or two couples or as a live-aboard. With twin engines and convenient access from the helm to the side decks this boat is easy to single hand. Low maintenance, economical fuel requirements, well-equipped with current navigation electronics, hydraulic anchoring and davit -- all contribute to a well-designed and equipped Alaska-capable live aboard and traveler.These boat details are subject to contract.Note: Offers on the asking price may be considered. 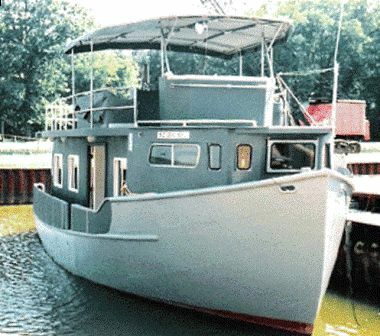 1973 Custom Longliner/Pilothouse/Trawler Here's a ruggedly built, updated, steel Longliner Pilothouse with twin GM diesel power and a good electronics package. A Raised wheelhouse forward for great visibility. 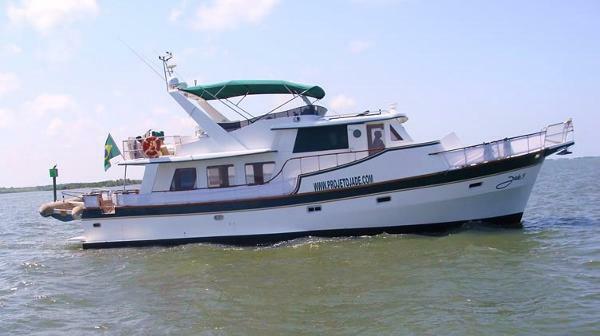 Sleeps 5 in two staterooms, has full galley and head w/shower. 9000 gals fuel, 1300 gals water, 1500 gal livewell, 10 ton ice/fish hold, easily expandable to 20 tons. The boat has been idle for several years. She has new shafts and props ready to install. Reportedly one main may need work. 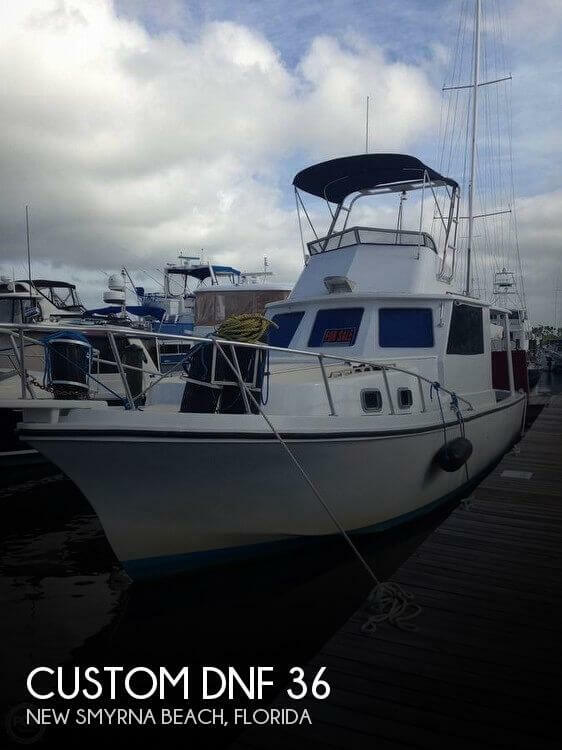 The boat is in good working condition and running condition, the owner took her to the Bahamas every year and has owned her since 1998. All systems are working according to the owner and the a/c 's were blowing cold when I took the photos, all powered by the generator at that time. The water maker is not working and the owner thinks it just needs a new intake pump. The boat looks to be in good condition other than minor cleaning. Per the owner, he does the bottom paint and checks the shafts, bearings etc before his trip each year to the Bahamas. 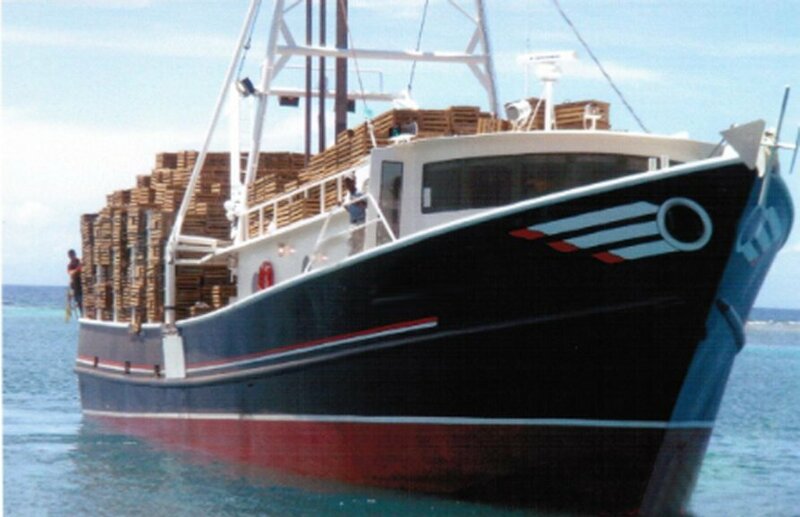 Stock #167798 36' Classic Trawler powered by a single detroit 8V71TI, diesel engine with 600 hours! 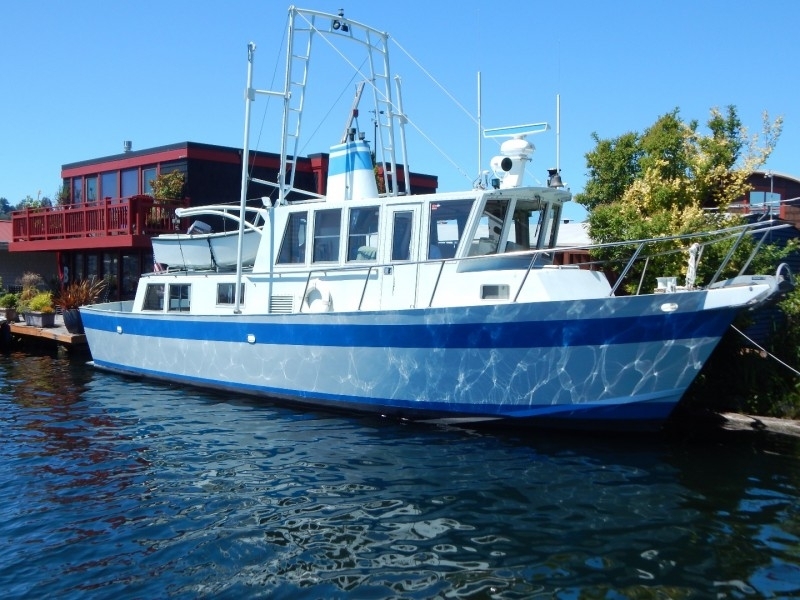 If you are in the market for a trawler, look no further than this 1979 Custom DNF 36, just reduced to $26,500 (offers encouraged). 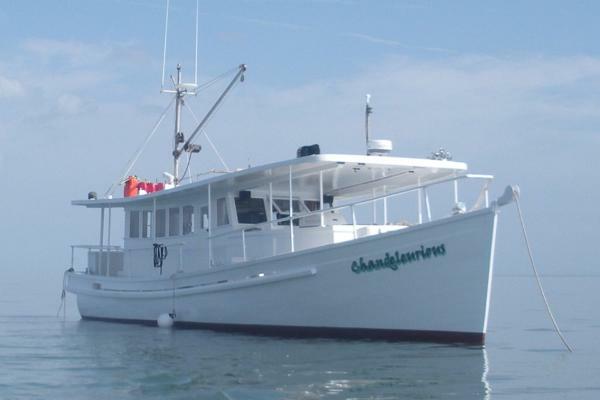 This vessel is located in New Smyrna Beach, Florida and is in decent condition. She is also equipped with a Detroit Diesel engine. Reason for selling is bought another boat. 2005 ATB CUSTOM TRAWLER MAROC The yacht offers two comfortable outside deck areas; one shaded aft deck on main deck and one big sundeck with wide views. Still active as a charter yacht for day charters with the impressive galley that has been professionally built to cater up to 30 guests. The dining table in the saloon is a special feature as well since it can be extended to a very large table for a sit-down dinner. There are 7 spacious cabins with 14 berths in total. She always has been professionally maintained to the highest standards. Very suitable for living on board or for those who are interested in day charter possibilities.